Maine Republicans are no strangers to controversy. After two terms of Gov. Paul LePage, we’re used to shaking our heads when one of our own gets in trouble for making wacky statements. I stood up and spoke out about those statements, and I cannot now sit silently. 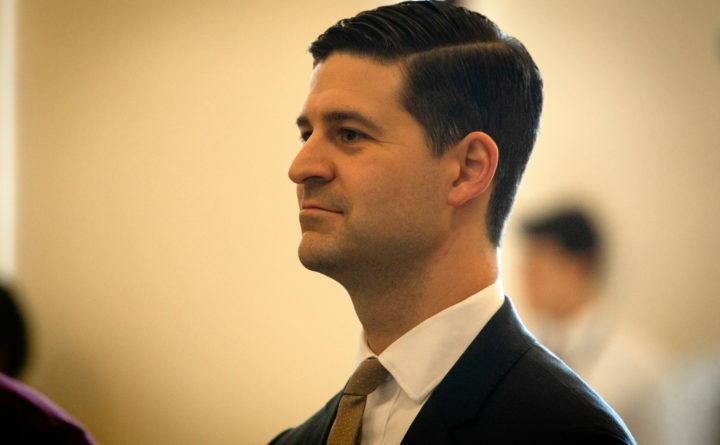 GOP Vice Chairman and Waterville Mayor Nick Isgro’s recent statements demand a response. When the state GOP elected Isgro to be vice chair of the party this year, I held great concern. Isgro has a history of outrageous public statements, from attacking the pope to making angry statements toward a child who was the victim of a horrible school shooting in Florida, as well as a list of anti-immigrant statements. His temperament and his judgment both seemed way too off-kilter to elevate him to a position of authority within the party, and his value system definitely didn’t seem to mesh with mine. I hoped his actions would stop. I was wrong. After this last week, I see my worst fears about Isgro have been realized. On Thursday evening, Isgro took to the Twitter account of the Maine Republican Party and made a series of inexplicable statements in the party’s name. Isgro entangled his opposition to mandatory vaccines with his anti-immigrant beliefs and made some claims that not only fail to pass the truth test, but they contradict each other. Isgro claimed Americans were being unjustly required to vaccinate their children, while at the same time unvaccinated immigrants were pouring over the southern border. In this twisted logic, the real solution to virus outbreaks in our country is not to vaccinate, but to prevent immigrants from coming here. Now I’m not going to weigh in on the vaccination debate. This is a topic that both sides are passionate about, and I respect the rights of folks to have their own opinions on the subject. What I am going to weigh in on is the words of the vice chair of the Maine Republican Party, and his misleading claims. First off, if Isgro was right about his claim that diseased immigrants are pouring into Maine, it would be pretty simple logic to believe that this is another reason we should have our kids vaccinated. It’s hard to maintain an anti-vaccination stance while at the same time inventing a need for them. Isgro’s claims are false. They have no merit on their own, and they have even less merit coming from the state Republican Party. He used the state party’s Twitter account in order to push his own distorted views on immigrants, and that is something that requires immediate action by the party. These ideas are not Republican ideas, and Isgro does not represent the Republicans I know. My father, a Republican and the son of Italian immigrants, would be disgusted. Let me add, my dad lost an infant sister to whooping cough. He knew firsthand the importance of vaccinations. I was heartened to see the Maine Senate Republicans, my former colleagues, issue a statement condemning Isgro’s words, as well as a statement from U.S. Sen. Susan Collins distancing herself from Isgro’s words. In light of Isgro’s words, words that would not be accepted in my father’s Republican Party, I join with the many Republicans who are outraged by these statements in requesting that Isgro step down immediately from his position as vice chair of the party. Tom Saviello of Wilton is a former Republican state legislator.